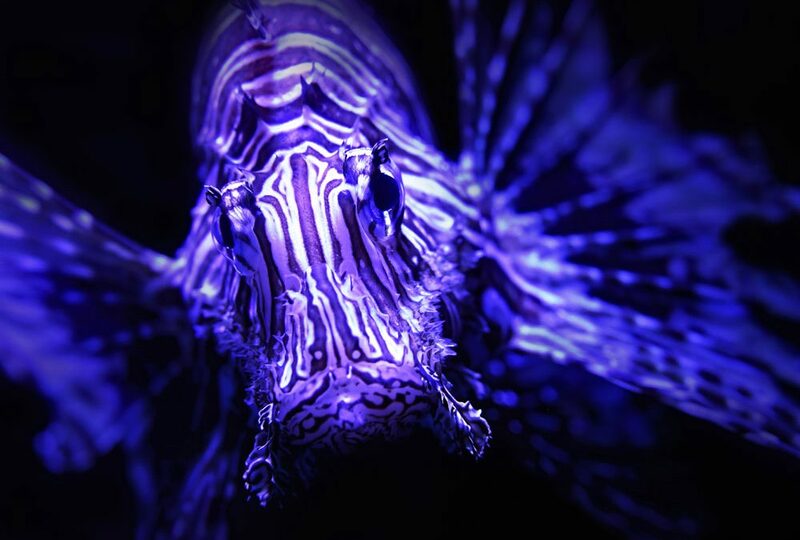 When: Thursday, September 20 at 6:00 p.m.; additional lionfish activities from 5-6 p.m.
Lionfish are an invasive species from Indo-Pacific waters that are now found on the Eastern Seaboard. This fish will be the focus of the Marine Discovery Center’s September public lecture. 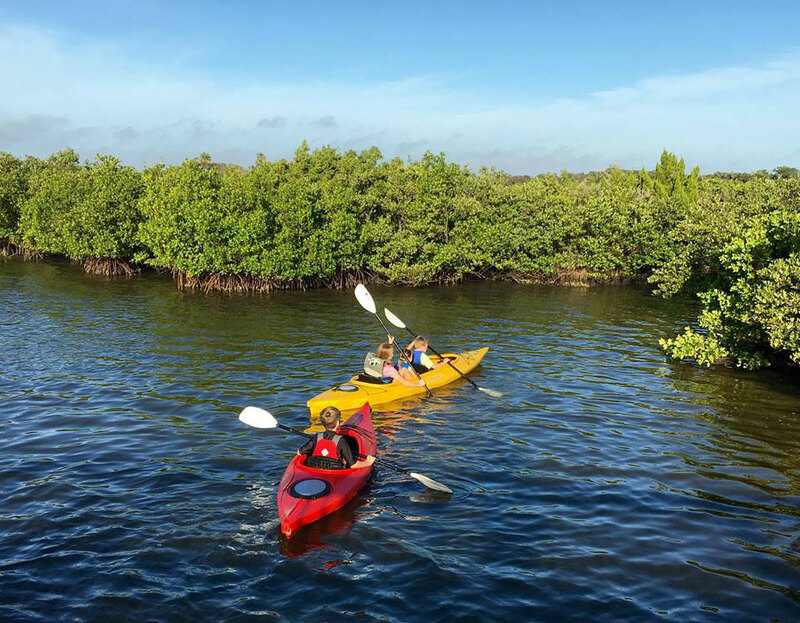 Hanna Tillotson, head of lionfish control for Florida Fish and Wildlife Conservation Commission’s (FWC) Division of Marine Fisheries Management will be the guest speaker. The presentation is set for Thursday, Sept. 20 starting at 6 p.m., with special lionfish events scheduled prior to the lecture from 5-6 p.m.
Tillotson will discuss the species, the lionfish invasion to Florida and its effects on native habitats, statewide control and removal programs, and ways for the public to get involved. She will also display fish harvesting gear, collection techniques, safe handling of the fish’s venomous spines, and will demonstrate how to fillet this fish. In addition to the lecture at 6 p.m., the public is invited to participate in pre-lecture activities on the pavilion area outside the back of the building shared by the Marine Discovery Center and The Artists’ Workshop. Keith Sterner, owner of Sea Dogs Dive Center in New Smyrna Beach, will be present to discuss how local offshore dives help track and eradicate lionfish, which eat critical populations of native juvenile fish. Sea Dogs will obtain and donate lionfish for the event, which will be served in a sample ceviche prepared by local chef Ryan McClean of the French Quarter Grille restaurant in New Smyrna Beach. Lionfish is a mild white fish that currently is in high demand by top restaurants. In addition, artists from The Artists’ Workshop will display artwork depicting lionfish and jewelry made from lionfish spines at the event. The public will be able to view the artwork prior to the lecture. MDC’s September lecture is open to the public at no charge and no reservations are required. Early arrival is recommended, as seating is limited. “The Journey of Bees and Beekeepers – Understanding Our Partnership With This Amazing Insect” will be the topic of the Marine Discovery Center’s May public lecture. Doug McGinnis, who has served for nine years on the National Honey Board, and has been an officer in the National Honey Packers and Dealers Association, as well as the American Beekeeping Federation, will be the guest speaker. The presentation is set for Thursday, May 17, starting at 6 p.m. The lecture is hosted by the Marine Discovery Center, located at 520 Barracuda Boulevard in New Smyrna Beach. A special honey tasting will take place at the center prior to the lecture from 5-6 p.m. Several varieties of locally sourced honey, including black mangrove honey and Brazilian pepper honey, will be available for tasting and purchase at MDC during that time. 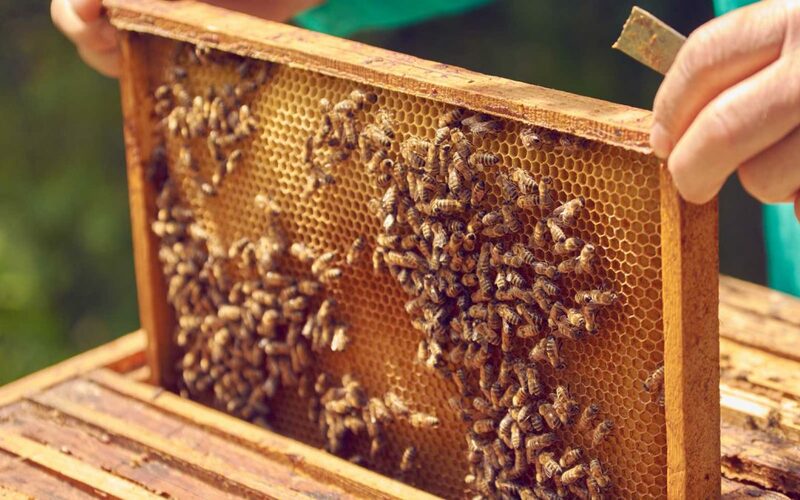 At the lecture, McGinnis will discuss the role and duties of beekeepers today as they carry bees around the country to make honey and pollinate food crops, and how this corresponds to the life cycle of honeybees. Florida is among the nation’s top honey-producing states, and because of its warm climate hundreds of thousands of honeybee colonies are carried throughout the state by migratory beekeepers. This movement is compounding the problems facing honeybee colonies, however, whether from diseases, pests, pesticides or other environmental stresses. 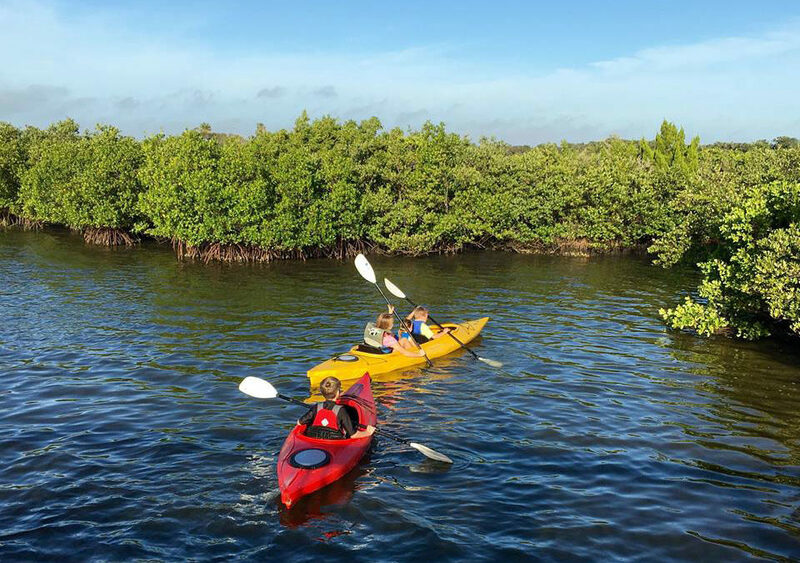 McGinnis will talk about the variety of Florida honey plants and how the bees produce honey from their nectar, including the coastal region’s black mangrove trees. He will also discuss how the honey supply is dependent on pollination, what pollen is, and what pollen does for the honeybees. In addition, McGinnis will help the public learn how to help Florida’s bee population, and will talk about some of the work being done at the University of Florida Bee Lab to combat the loss of bees and improve the knowledge of beekeepers. McGinnis has been involved in beekeeping and honey production for most of his life. His family’s business, Tropical Blossom Honey Co., of Edgewater, Fla., sold honey products from Florida beekeepers throughout the nation and to more than 20 countries. 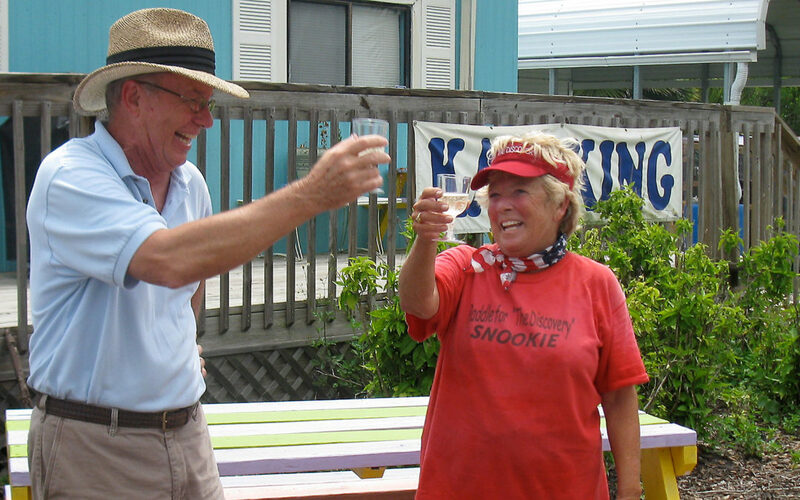 Currently McGinnis serves on the Board of Trustees of the Atlantic Center for the Arts and keeps his beehives at ACA’s New Smyrna Beach campus. The May lecture is open to the public at no charge and no reservations are required. Early arrival is recommended, as seating is limited. The Marine Discovery Center hosts a lecture on North Atlantic Right Whales early each year to help citizens identify the large mammals sometimes spotted just offshore. The presentation also encourages individuals to engage in a volunteer contact system designed to alert officials whenever these endangered animals are in the area. Sadly, the challenges increased for the right whale in 2017, when the National Oceanic and Atmospheric Administration (NOAA) reported an “unusual mortality event (UME).” The UME detailed that 17 right whales were found dead off the coasts of New England and Canada last year, plunging the current global population of these whales to 450 animals. Further, officials from NOAA warned in early December that the species of whale — which can weigh up to 150,000 pounds and grow as long as 48 feet (nearly 15 meters) — could be extinct within 20 years if critical action is not taken to protect them. Scientists estimate there currently are only 100 breeding females in existence. One report noted that warmer water temperatures in Halifax, Canada, had lured some of the whales into atypical foraging areas that were also shipping channels. Of the 17 whales that were found dead in 2017, six were reportedly killed by blunt-force trauma – likely from collisions with vessels, said NOAA. NOAA has already begun work with commercial fisheries from Canada and the United States, requesting improved communication to help avoid whale/ship encounters, as well as to help minimize entanglements. Five right whales were freed from fishing nets in 2017, with two dying following entanglement. Precautionary measures with North American fisheries intensified in 2009. According to a NOAA report, fisheries were required to sink 27,000 miles of floating lines deep into oceanic waters, and more than 3,000 more miles of fishing line was removed from North American waters in 2014. And while NOAA, along with various other national and state agencies, work to improve management of commercial fishing practices and methods to make waters safer for right whales, the addition of volunteer spotters has also benefitted the effort. Volunteer spotters living in coastal regions help report whale sightings to officials, who can alter shipping and commercial fishing routes, thereby preventing whale strikes. 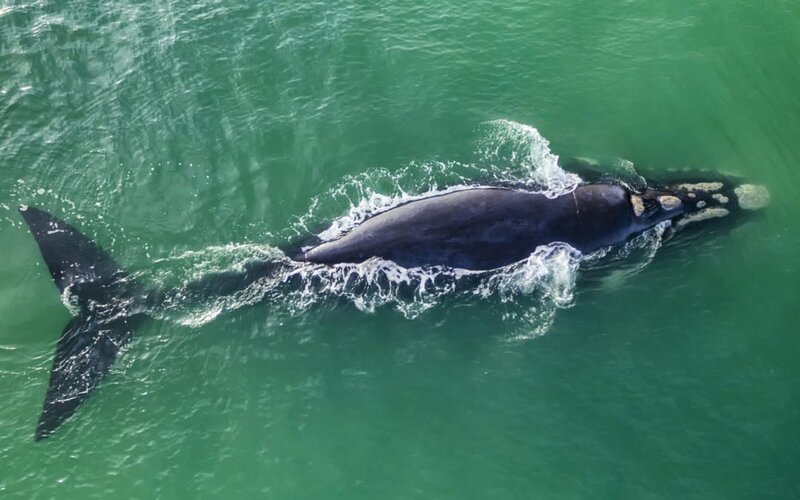 Julie Albert, manager of the Marine Resources Council’s North Atlantic Right Whale Monitoring Program, currently leads more than 800 volunteers along the east coast of Florida. Albert will once again lead the discussion on right whales during MDC’s free monthly lecture on Thursday, Jan. 18. The free lecture will begin at 6 p.m., at MDC, located at 520 Barracuda Boulevard in New Smyrna Beach. The public is invited to come learn more about these endangered creatures, as well as what can be done by local citizens to help protect them when they show up off our shorelines this winter. NEW SMYRNA BEACH, Fla. – Dec. 4, 2017 — The Marine Discovery Center will celebrate its 20th anniversary with a special event this Friday at the center. The open-house celebration is free to the public. The event will be hosted at the center, as well as at The Artists’ Workshop next door, located at 520 Barracuda Boulevard in New Smyrna Beach. The event will be held from 6:30-9 p.m. Light refreshments will be offered throughout the evening, culminating with a champagne/sparkling apple-cider toast. Marine Discovery Center founders and former directors, as well as key members, will offer brief comments about MDC’s formation and growth during the celebration. Please visit our Facebook Event Page for any updates!